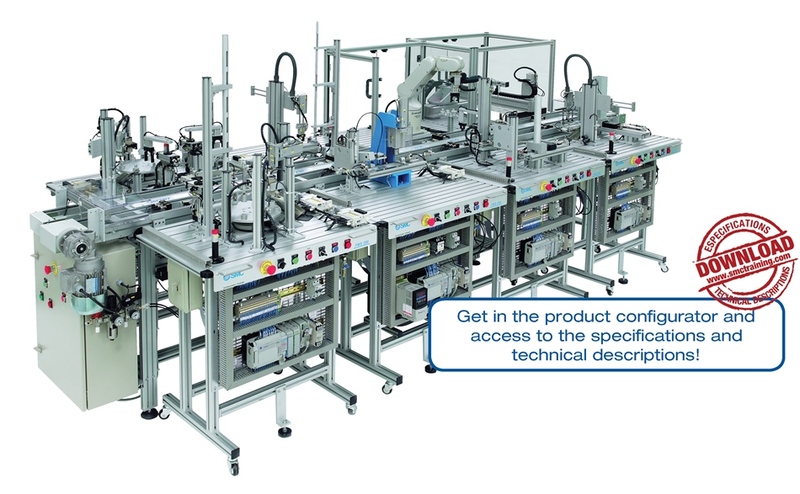 The modular features of this flexible automation cell enables the introduction of variations in its stations so that they adapt to the different requirements of companies and training centers. From a simple configuration of one station only (working fully autonomously) to a complex configuration with eight or ten stations, the possibilities are endless. In addition, it facilitates a staggered investment, i.e. 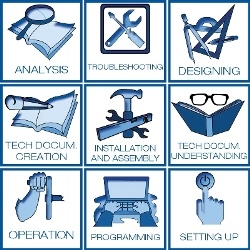 starting with an initial simple configuration which can be easily enhanced by adding workstations. All the components in the FMS-200 are used in industry, so that the user can work with real elements at all times making the learning process more meaningful. The system includes a whole series of feeding, handling, verification and loading operations etc. carried out using components from different technologies (pneumatics, hydraulics, sensors, robotics, communications, control and HMI. ).FMS-200 includes the breakdown simulation system which generates up to 16 different breakdowns to be diagnosed by the user. The different process stations assemble a turning mechanism. To provide the system with greater flexibility, stations adapt to a wide variety of assemblies, introducing variations in the materials, colours and part sizes. 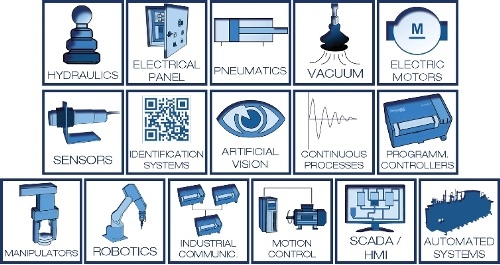 The combination of all these possibilities means that a total of 24 different assemblies can be obtained enabling the use of production management strategies. The control panel is completely modular and can be rapidly disassembled so the user can design and integrate a new control. Each station of FMS-200 carries out one part of the process. In order to provide the most flexible solutions for our customers needs, FMS-200 is available in two different versions: with a four meters long linear transfer system or with modular transfer sections coupled to each station. The two options are described below. Common element in all stations: Power supply, anodised aluminium structure, control keypad, solenoid valve block, labels for cables, electric connection terminals, speed controllers, air treatment unit, control PLC* and user manual and practice manual. * Options: PLC Siemens, Omron, Mitsubishi, Allen Bradley, Schneider or without PLC.